Throwback Thursday--use either Just Because or Wild Card Cartridge. This is cute! I love your color choices on this!!!TFS! I love LOVE this card, great job!!! Beautiful! Love the colors! Thanks for sharing! 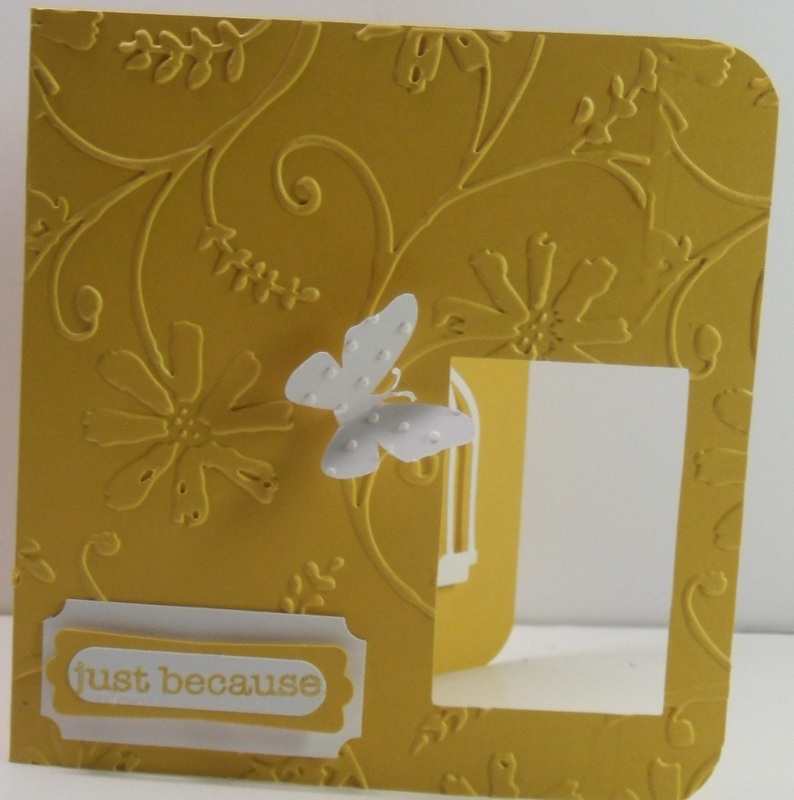 love the card... would love to see you make some sympathy cards.. I struggle with making them, its hard enough to know what to say, let alone how to make them look nice. This card is beautiful. I love it. 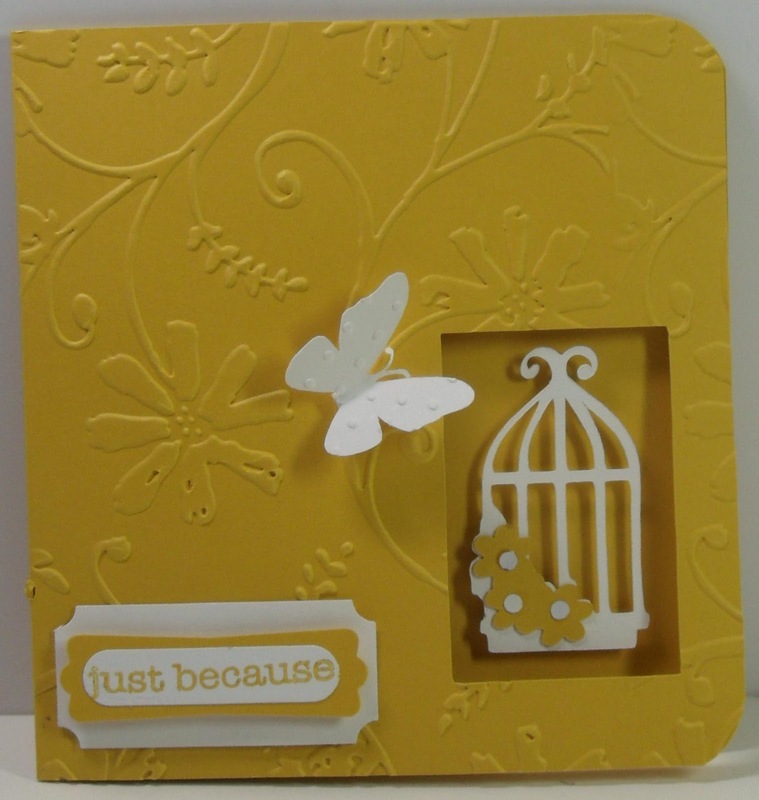 We have had a bunch of ice and snow here... very nice to see a bright and cheerful card! TFS! Just beautiful!! Love the color, very happy & cheerful! Great job! What an elegant card! Beautiful. Simply elegant... Love the color. I very rarely make 5x5, very nice. Oh how lovely! I can hear the spring birds singing! Gorgeous! Hang in there! I love this card very pretty.!! Very cute, love the window effect! Great job w/the challenge my friend! Such a beautiful card, great job! So Beautiful...I love the color combo and simplicity of the card!